The administration of the Government Polytechnic in Kherwadi area have a bizzare rule that states that the authorities can discontinue hostel facilities for those who have even a single paper left to be cleared. The decision has left 50 students without a roof over their head as they have been forced to sleep at bus stops and railway stations. The students come from modest backgrounds and poor financial condition hence they cannot afford accommodation in the city. “We are forced to spend nights at bus stops and railway stations, as there is no way that we can enter the hostel premises. The security guards have been given the list of names of the students who won’t be allowed inside. We even looked at other options, but it’s financially not possible for us to afford accommodation outside the campus. Our parents are asking us to return home. But it means that all the effort that we have put in the last two years will go waste. Just a few months are left for us to complete the course. We approached the authorities as well, but our requests have fallen on deaf ears. 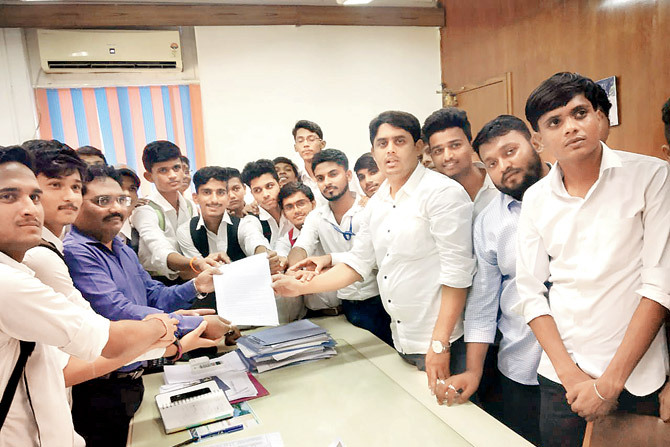 Hence, we have sought help from student leaders,” said Ankush Pachpor, a final-year computer diploma student, who hails from Buldhana. “After we met the Joint Director of Technical Education, Pramod Naik, students were allowed to stay in the basement of the hostel for the weekend. He will visit the hostel on Tuesday and review the situation. A final decision will be taken only after that,” Matele added. To most people writing spells boredom but to the obsessively refined eye, writing unravels mysteries and lets mere mortals time-travel. This author boasts of being versatile and admonishes against any scope of doubt when someone questions her vocabulary. Paradoxical, satirical and ironically so, a Neo-Modernist but a Shakespearean novel waiting to happen, she trudges on her Sherlock Holmes defined path in the quest to find what the future beholds. Do not question her writing for the pen is her mighty sword and her words might injure you.